By means of multifactor authentication, you can save the login – in addition to the password – with a further factor. Setting up a multifactor authentication can be done by either the administrator or the user. To use multifactor authentication on a database, it must firstly have been activated on the AdminClient. In the database module, open the settings for the selected database via the ribbon. It is possible to separately define in the settings whether it is permitted to use each interface on the database. In the user settings, it is also possible to define the “Length of validity of a multifactor authentication token” in minutes. In the organisational structure module, you select the user and the interface “Multifactor authentication” in the ribbon. The desired type of authentication is selected and given a title. This name is also displayed to the user when logging in. The subsequent process differs depending on the desired authentication type. The prerequisite for this is that the relevant app has been started on a smartphone. After the name has been assigned for the authentication, you generate a new secret via the corresponding button. A QR code is displayed, which must be scanned using the Google Authenticator app on a smartphone. 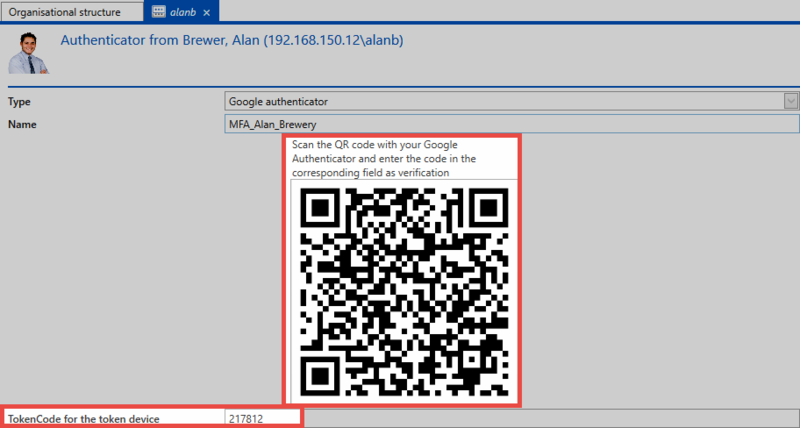 Once the Google Authenticator app has detected the QR code, it will return a 6-digit PIN. You must then enter it in the appropriate field. Finally, click on Create in the ribbon. To set up multifactor authentication using RSA SecurID, simply enter the RSA user name and click Create directly in the ribbon. *The prerequisite for the use of RSA SecurID token is that the access data has been stored in the Database settings on the AdminClient. Multifactor authentication using SafeNet One-Time Password is set up using the SafeNet user name. 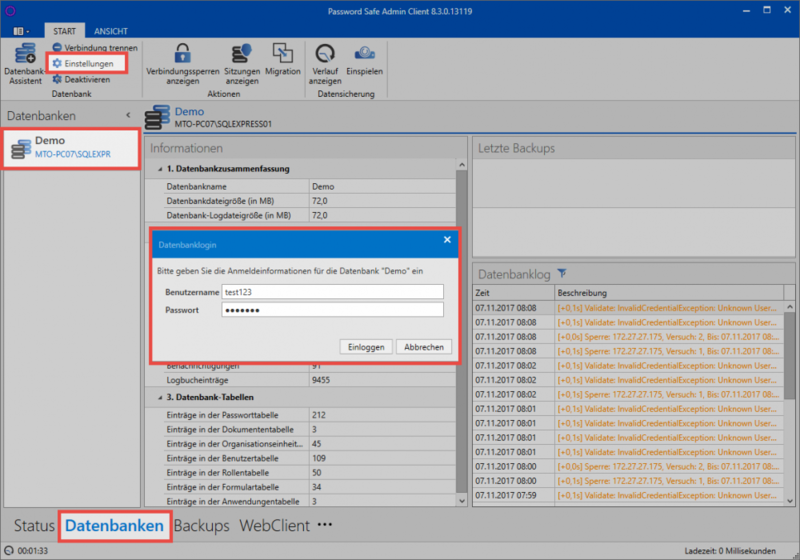 *The prerequisite for the use of SafeNet One-Time Password Token is that the access data has been stored on the AdminClient in Database settings. For PKI setup, the Select button is used to open the menu for selecting the desired certificate. All eligible certificates are displayed. Now just select the desired certificate from the list to confirm the process. The configuration of multifactor authentication using Yubico One Time Password is described in a separate section.